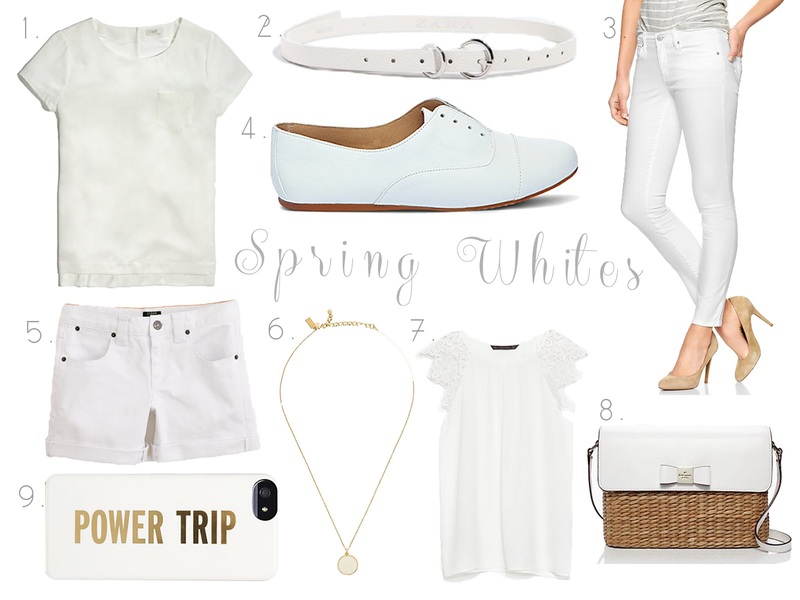 Now that the white stuff on the ground is gone, I can't help but think about the white items I want to add to my closet! I bought a pair of these in blue denim a few months back before holidays, and when I recently realized they came in white I couldn't resist buying another pair ;) White jeans are pretty much a staple for me during the summer months (dare I say the S word)... I always like having some good white staples to keep things light; these are just a few of the items I am contemplating adding to `my cart`!